In August 2017 the NAIC, in collaboration with a consultant, began a Job Analysis Project to revise requirements for the Property/Casualty (P/C) Statement of Actuarial Opinion (instructions) using an evidence-based definition of a "Qualified Actuary." The resulting proposed instructions incorporate an expanded definition of "Qualified Actuary" based largely on the results of the Job Analysis Project, with the addition of professionalism requirements. The instructions with definition were exposed for a 45-day comment period ending Feb. 12. The comments are posted here, along with two memorandums addressing the instructions and proposed next steps. The NAIC's Research & Actuarial Department is committed to providing insurance regulators, consumers, academics, industry and government entities and other interested persons with insurance statistical, actuarial, financial and market conduct information for both economic analysis and rgulatory monitoring of the insurance marketplace. Additionally, Department members assist the Center for Insurance Policy & Research (CIPR) with its mission to serve federal and state lawmakers, federal and state regulatory agencies, international regulatory agencies, and insurance consumers, by enhancing intergovernmental cooperation and awareness, improving consumer protection and promoting legitimate marketplace competition. 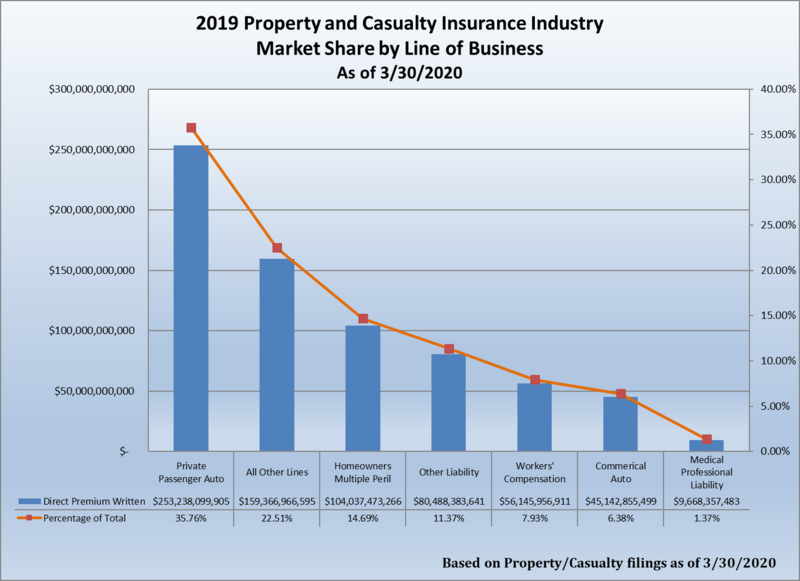 The NAIC's Research & Actuarial Department is providing 2018 Market Share premium data for the top 25 insurers of select property/casualty and life/fraternal lines of business as the data is received. This report includes countrywide direct written premium for the top 25 groups and companies as reported on the State Page of the annual statement for insurers that report to the NAIC. This report helps to provide an indicator of the degree of market concentration in a line of business as well as identifying leading insurance writers. The Top 25 Market Share reports will be refreshed daily through March 8 and on each subsequent Monday in March. 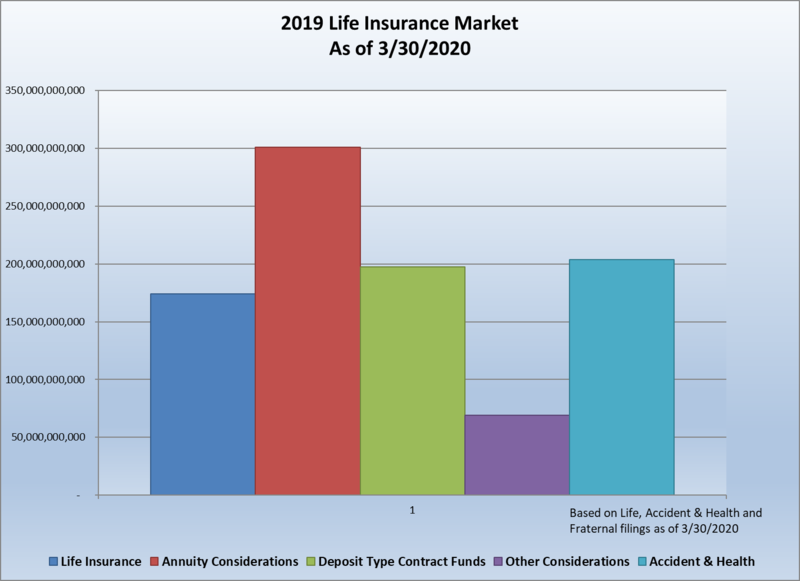 Cumulative Total for Life insurance, Annuity Considerations, Deposit-type Contracts, Other Considerations, and Accident and Health Insurance. For more in-depth market share information, please refer to the complete 2018 Market Share Reports for Property/Casualty and the 2018 Market Share Reports for Life/Fraternal, which will be available in the summer of 2019. The top 125 groups and companies countrywide are shown in each line of business and the top 10 groups and companies are shown by state for property/casualty lines and the top 125 groups and companies are shown by state for life/fraternal lines.